On January 9th we celebrated Hanuman Jayanti at our ashram in Chennai, where the presiding deity is of Sri Panchamukha Hanuman. 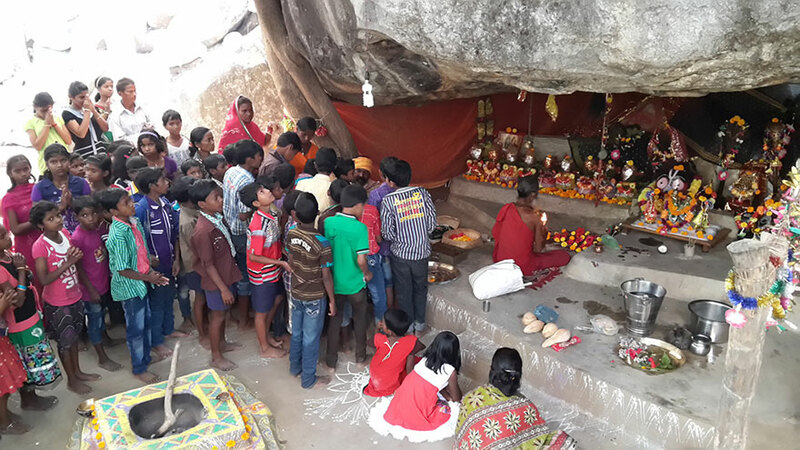 From morning till evening around 5,000 devotees visited for darshana of Lord Hanuman. 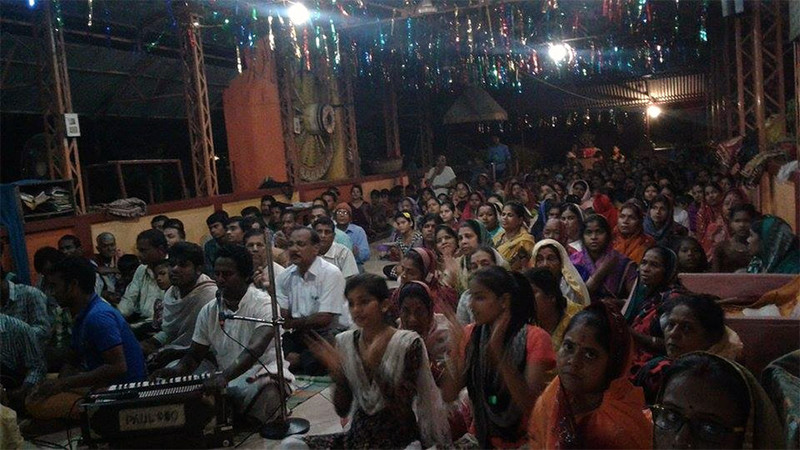 Bhajans were sung by devotees, and prasadam was distributed to all of the guests throughout the day. 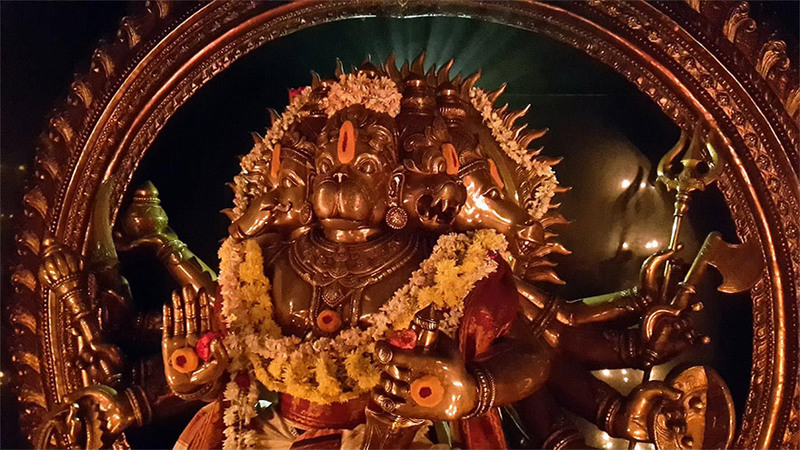 Tomorrow (Saturday, January 9th, 2016) is Hanuman Jayanti according to the Tamil calendar. We invite all the devotees who are living in Chennai to visit our ashram at Tharamani for Hanuman Jayanti celebrations. 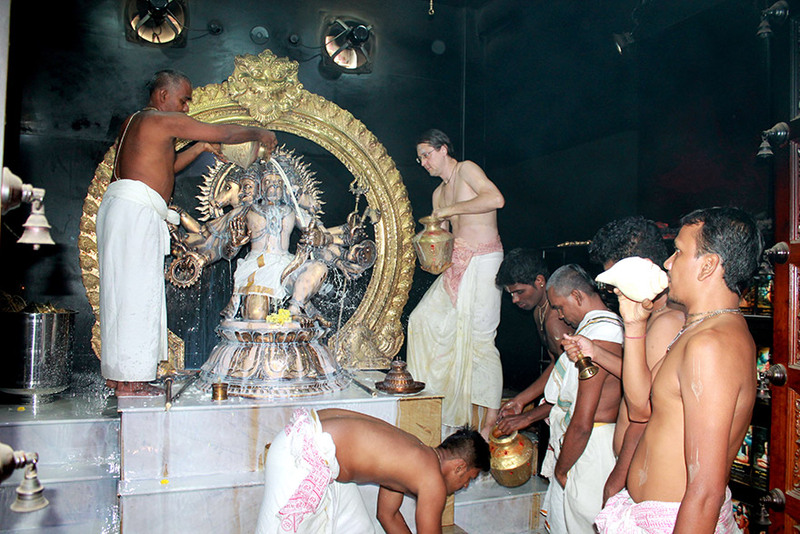 Morning abhishekam to Lord Hanuman will begin at 7 am, followed by yaagam and bhajanai. 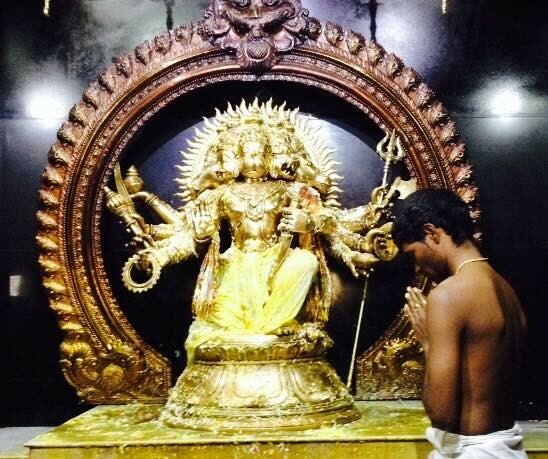 The temple will be open for darshanam from 5am till 10 pm. This week the city of Chennai was hit with severe flooding which resulted in most of the city being inaccessible. 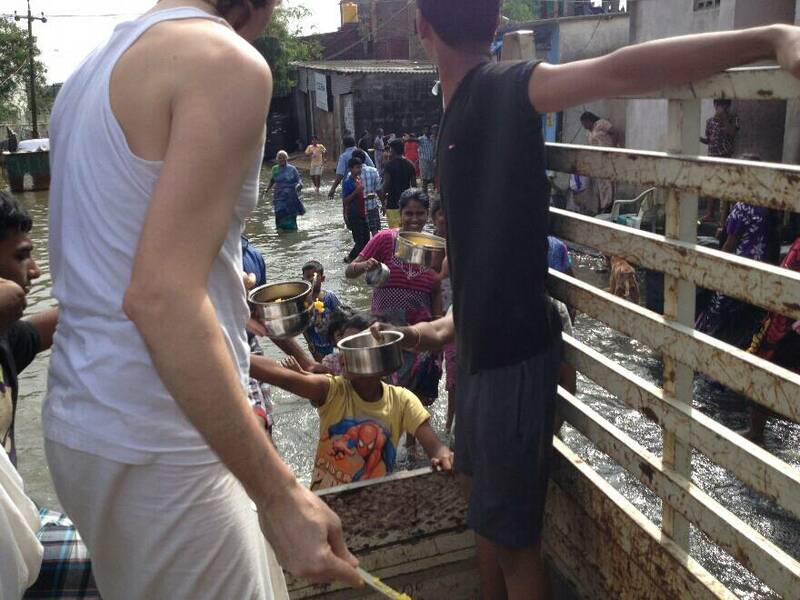 Our ashram is located in the south of Chennai at Tharamani, which was also heavily affected by the floods. For the last 5 days there has been no electricity, and food and drinking water were hard to come by. With the end of Kartika month approaching, the last five days, known as Bhishma Panchaka, are considered very auspicious for worshipping Lord Krishna. 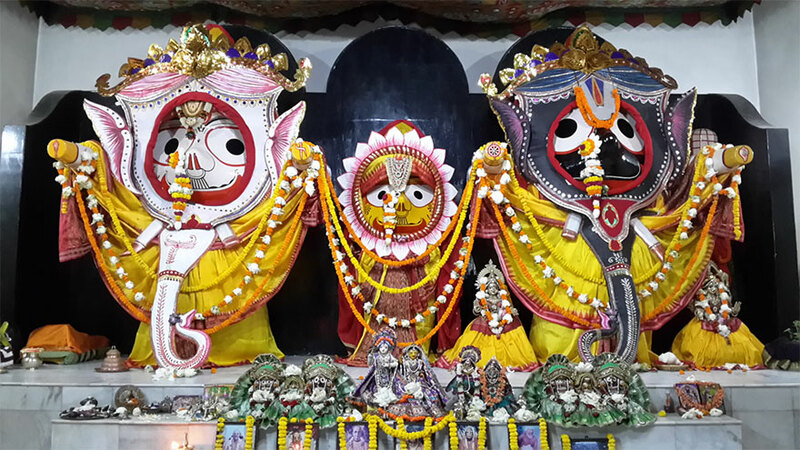 As such, our Jagannatha temple in Bhadrak always sees a large increase in the attendance by devotees for the evening arati during these last five days, culminating in Kartika Purnima. We would like to share with you some pictures of the yearly rice harvest at Dayalu Baba’s ashram. 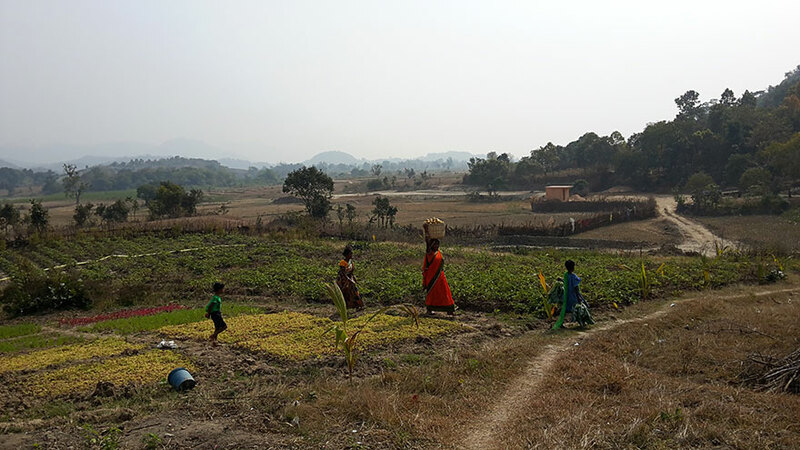 This is the second year that we have helped this ashram to produce rice and vegetables so that they can move towards being self-sufficient. The following pictures are of Lord Jagannatha in Hati Vesha on Snana Purnima at Bhaktivedanta Ashram’s Jagannatha temple in Bhadrak, Orissa. Last month devotees from the Bhaktivedanta Ashram organized the annual Makara Sankranti festival at Dayalu Baba’s Ashram. This is the fourth year that we have helped to organize the festival. This year, for the three days of the festival, we fed over 5,000 devotees who came from all the nearby villages. For all three days there was nonstop cooking and distribution of spiritual food from 9 am till 9 pm. The following pictures are from last months celebrations of Hanuman Jayanti at our ashram in Chennai. In South India Hanuman Jayanti usually occurs in the month of December, whereas North India celebrates it around the month of April. On the auspicious occasion, thousands of people came to our temple for darshana of Lord Panchamukha Hanuman. 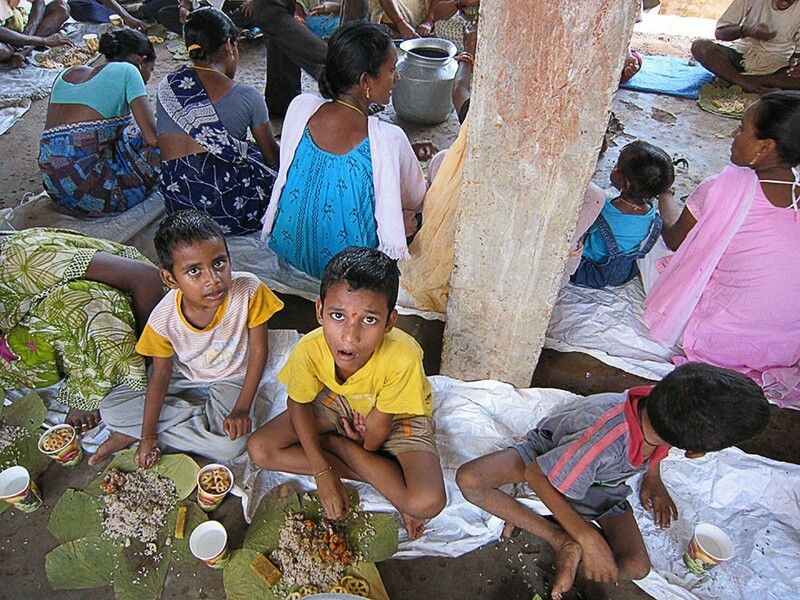 It has been 5 years since we started the foodrelief program in Andhra Pradesh (September 2009 to December 2014). 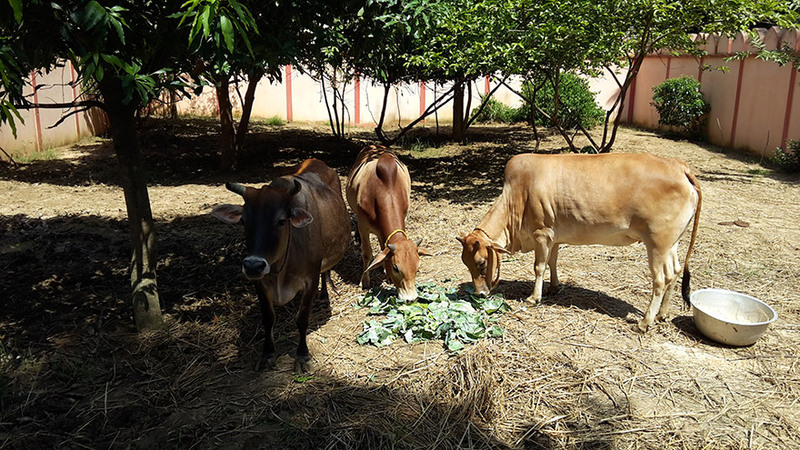 In these five years a total of 435,000 plates of spiritual food have been distributed in Andhra Pradesh by devotees of the Bhaktivedanta Ashram, mostly in the Vizianagaram district.